The Yield Champ Scragg is a combination Sharp Chain Scragg and Edger for further processing the cant. 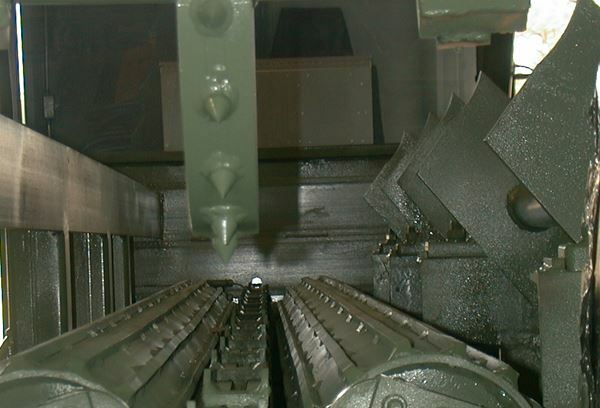 It utilitizes an optimized log turner and sharp chain feed system. A great benefit of the Yield champ is it requires minimum man power (only one man is needed to operate both the Sharp Chain Scragg and Edger). 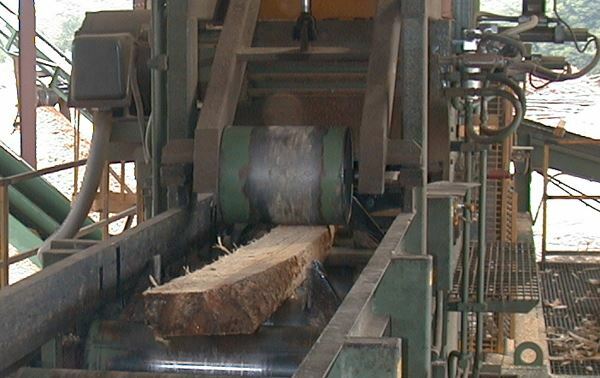 Once the log is through the 44”, 48” or 56” diameter saws (depending the customer’s requirements), the cant is rotated 90 degrees and then fed into a second saw(s). There it is cut into a three or four sided cant or into two cants and two slabs with the three saw option. This mill is available with Cooper computer controlled saw setworks (which provides precise cutting of cants) as well as several options depending on customer needs including an infeed deck and slab recovery system.